Citizen diplomacy is far from new, but Learning Life’s Citizen Diplomacy Initiative (CDI) takes a fresh approach to this old form that draws on particular works for inspiration. Diplomacy is the management of international relations. Professional diplomats handle official diplomacy between nations, but citizens can also get involved in conspicuous or inconspicuous ways in what is known as “citizen diplomacy.” Conspicuously, famous athletes, musicians and actors, like the basketball player Dennis Rodman, U2’s Bono and actress Angelina Jolie sometimes intercede in international issues, like nuclear proliferation, poverty, or violence against women, via widely reported statements, visits, productions, or events. Often much less conspicuously, “ordinary” citizens get involved in international sport, travel, business, cultural or educational exchanges. However, much of this citizen diplomacy is and has long been undertaken by relatively privileged middle and upper class people who have the social and material means to learn about and travel the world. Fortunately, the spread of the internet, personal computers and smart phones has the potential to democratize diplomacy, that is, to concretely engage more people in international relations, for better or worse. For worse, terrorists and computer hackers, for instance, can use these technologies to wreak international havoc for political purpose. For better, “virtual exchange” or live dialogue via the internet has the great, and at this early stage largely untapped potential to nurture mutual understanding, trust and cooperation between people who have little to no connections outside their country, or even their local community. Virtual exchange does not guarantee positive results though. Much depends on its design. To inspire and plan Learning Life’s CDI since late January this year, I have drawn on a number of readings, the most foundational of which are briefly discussed below with reference to CDI. 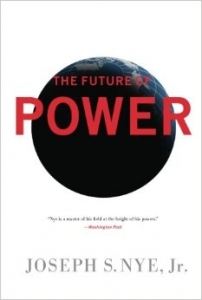 Harvard political scientist Joseph S. Nye’s 2011 book, The Future of Power, lends Learning Life’s CDI an international context and significance. In the book, Nye seeks to help prepare political leaders for exercising power in the 21st century, particularly the soft power of persuasion — based on a foreign policy widely respected, a culture people aspire to, and political values we live up to — in contrast with the “hard” powers of military and economic coercion. Nye sees two power transitions occurring in international relations: a power shift among states increasing the power of countries like the “BRICs” (Brazil, Russia, India and China), and a power diffusion from national governments to non-state actors, whether this be Al-Qaeda, Avaaz, or Twitter. The power shift among states is not new in human history, but power diffusion is. The diffusion is to a great extent due to improvements in communication and transportation that increase the power of social networks. Accordingly, “[t]o be credible in a century where power is diffusing from states to nonstate actors, government[s]…will have to accept that power is less hierarchical in an information age and that social networks have become more important. To succeed in a networked world requires leaders to think in terms of attraction and co-option rather than command. Leaders need to think of themselves as being in a circle rather than atop a mountain. That means that two-way communications are more effective than commands” (Nye 2011: 161) and “empowering others can help us to accomplish our own goals” (Nye 2011: 21). Nye’s book thus recognizes that growing numbers of non-state actors large and small, like Learning Life, are stepping into international relations, often as, or through social networks. While despotic governments seek to control cross-border networks, Nye argues that open, democratic governments should “promote and participate in” these networks, so long as the latter seek to do good in the world (Nye 2010). Connected Learning, by Mizuko Ito et al. Inequality has always existed, yet hundreds of millions of people across the world have been lifted out of poverty in recent decades due substantially to economic growth and trade. Nonetheless, poverty is still widespread, and inequality is increasing as the fortunate few have grown much richer since at least the 1980s. In this context, a group of scholars recently teamed up to answer the question: how can education be made to work for more people in a very unequal world? The result is a 2013 paper on “connected learning” that both validates and inspires our approach with CDI. “Connected learning addresses the gap between in-school and out-of-school learning, intergenerational disconnects, and new equity gaps arising from the privatization of learning. 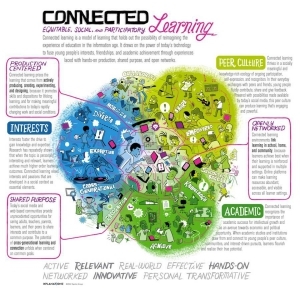 In doing so, connected learning taps the opportunities provided by digital media to more easily link home, school, community and peer contexts of learning; support peer and intergenerational connections based on shared interests; and create more connections with non-dominant youth, drawing from capacities of diverse communities” (Mizuko et al. 2013: 4-5). The result is a novel approach to learning that empowers lower-income families through dialogues and projects linking the local to the global. A now large number of studies (e.g., Farrington et al. 2012, Pellegrino & Hilton 2012) point to the importance of non-cognitive factors, whether these be skills, strategies, attitudes or behavioral dispositions — like conscientiousness, motivation, deferred gratification, perseverance, time management, sociability, teamwork, curiosity, help-seeking — to success in school, work and life. The non-cognitive factors contrast with cognitive content knowledge in particular fields, like math, engineering, computer science, political science, or literature. Cognitive knowledge is less associated with success, though as I have previously noted, it is associated with better memory, comprehension and problem-solving. Among the scholars who have conducted research on non-cognitive factors, Nobel laureate and University of Chicago economist James Heckman looms large. Heckman, who specializes in the economics of human development, offers compelling evidence that non-cognitive factors like those mentioned above, or what he calls “character,” matter more than performance on academic tests (Heckman, Humphries & Kautz 2014). Further, he provides evidence that early investment in character-building as well as cognition not only in youth but parents and communities can improve graduation rates, health, employment, and reduce crime and incarceration in the long term (Heckman 2013). Heckman’s work, and the larger literature on the importance of non-cognitive factors informs our focus on developing character — particularly kindness, openness, tolerance, perseverance, curiosity, personal growth, and helping others — through international dialogue, collaborative projects and explicit discussion of these character traits. Our ultimate goal is to nurture more informed, skilled, connected and caring global citizens, yet we do not expect such citizens to develop in weeks or months, but years. Learning Life thus envisions working long-term with particular families in a gradually growing number of communities worldwide. These are the works that inform and inspire CDI’s approach. I encourage readers working to make our world a better place to look deeper into these works. Farrington, Camille A., Melissa Roderick, Elaine Allensworth, Jenny Nagaoka, Tasha Seneca Keyes, David W. Johnson, and Nicole O. Beechum. 2012. “Teaching Adolescents to Become Learners. The Role of Noncognitive Factors in Shaping School Performance: A Critical Literature Review.” Chicago: University of Chicago Consortium on Chicago School Research. Heckman, James. 2013. 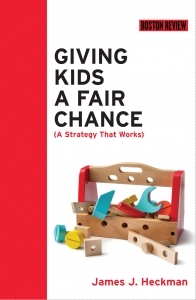 Giving Kids a Fair Chance. Cambridge: MIT Press. Heckman, James, John E. Humphries and Tim Kautz. 2014. The Myth of Achievement Tests: The GED and the Role of Character in American Life. Chicago: University of Chicago Press. Ito, Mizuko, Kris Gutiérrez, Sonia Livingstone, Bill Penuel, Jean Rhodes, Katie Salen, Juliet Schor, Julian Sefton-Green, S. Craig Watkins. 2013. “Connected Learning: An Agenda for Research and Design.” Irvine, CA: Digital Media and Learning Research Hub. Nye, Joseph S. 2010. “The Pros and Cons of Citizen Diplomacy.” The New York Times, October 4. Nye, Joseph. 2011. The Future of Soft Power. New York: Public Affairs. Pellegrino, James W. and Margaret L Hilton. 2012. Education for Life and Work: Developing Transferable Knowledge and Skills in the 21st Century. Washington D.C.: National Academies Press.